...are opened by the recipients, Techipedia says, with 83 percent of them opened within the first three minutes of being received. As long as you ensure your texts are relevant, on-target and useful to your audience, text marketing can come with a handful of benefits. Texts can be used to capture leads and contact information, merging the new info with your existing contact list. Appointment reminders can be incredibly helpful when sent out as a text, and you can also use SMS for reminders for meetings, workshops and other scheduled events. 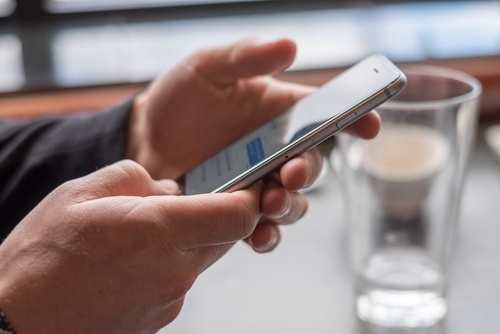 Texts provide immediate information on early closings, late openings, bad weather, emergency situations or other useful info that could save your contacts time and hassles. Instead of being inundated with people calling to ask the same set of questions, send out commonly requested information as texts. These can include business or holiday hours, location and directions. Encouraging texting to your business allows customers to provide on-the-spot feedback about your shop, products or services – to which you can just as quickly respond with a hearty thank you. The back-and-forth exchange helps build relationships and brand loyalty while proving you’re on top of the communication game. Specifically setting up text-powered polling and voting allows you to engage with your audience while collecting pertinent information. Long-form messaging can also work as a text, particularly if it’s essential information that customers would benefit from knowing quickly. The vast majority of text messages are read, while not every email is even opened. Whether you’re asking for photos, videos or entries into contests and giveaways, text messages can make the file submission process easy and instantly accessible for your customers. You also have the option of capturing additional information during the process. Not only can texts invite your contacts to make donations to your non-profit or fundraiser, but they can make it incredibly effortless to do so by including a link to your donation page. Contacts that want to send you an application, start the return process or take other action for which you have an online form can also be sent a text with a link that directs them to what they need. Whether you want to send out a quick reminder about a weekend sale, share a special coupon or offer, or showcase a new line of products, texts can do it fast – and with photos. Notice promotions are at the very end of the list, underscoring the importance of using texts as an engagement tool rather than a way to blast endless company promos. Use texts with care, diligence and the above benefits in mind, and you’ll be on track for effective and useful – rather than annoying and unwanted – messages. Text marketing can also be as easy for to use as it is for your recipients to receive with the right integration. If you happen to be using HubSpot - that's even better! HubSpot is primed to integrate with any number of SMS systems to create a single comprehensive solution that delivers what you and your audience need.